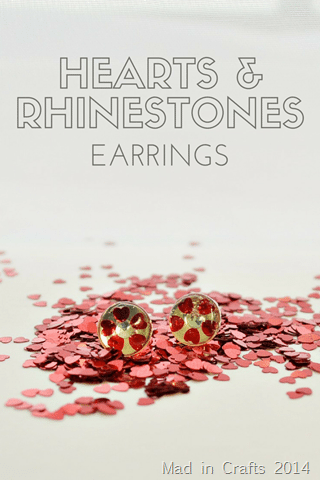 Even if you can’t afford a pair of diamond earring this Valentine’s Day, you can still rock something sparkly on those earlobes. 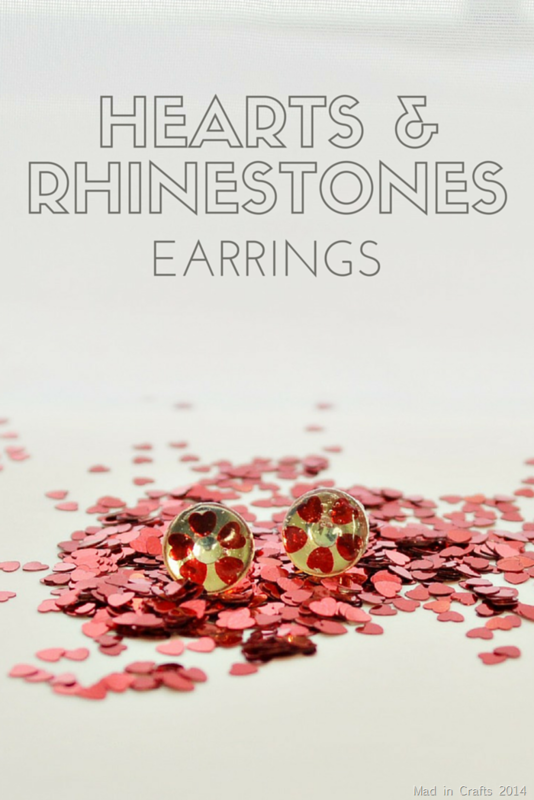 I made a pair of hearts and rhinestones earrings for just a few dollars and I’m showing you how today. 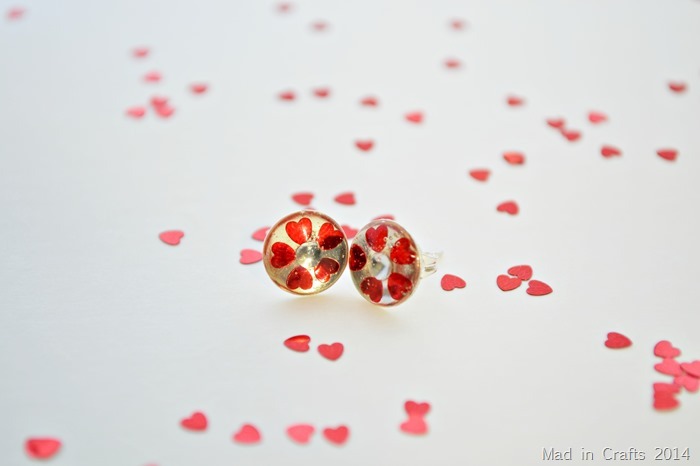 Make up a few pairs and share the love! 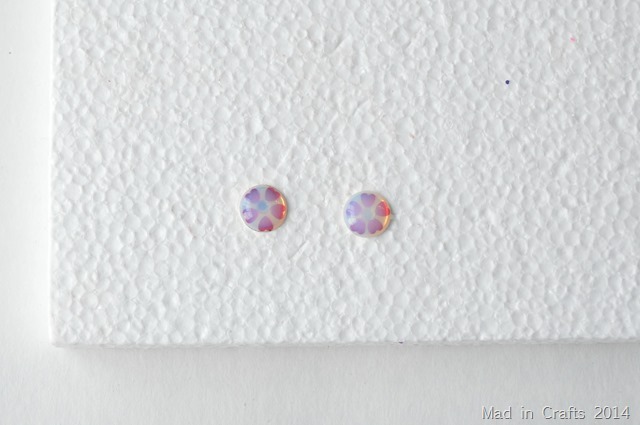 First, you will need a base for the stud earrings. Packs of flat pad earring posts (with backs) sell at the craft store for a few dollars. 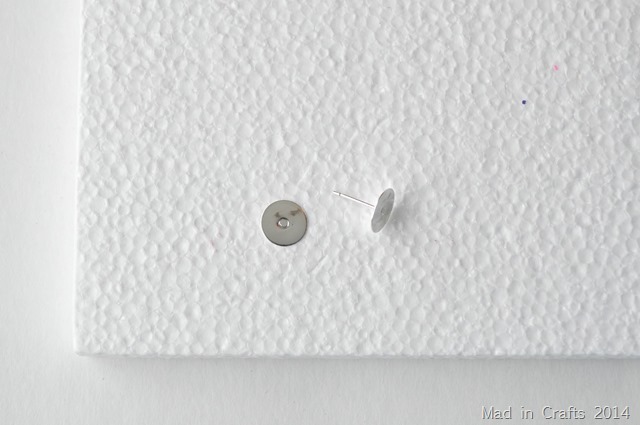 PRO TIP: Push the earring posts into a scrap piece of foam to keep them flat and secure while you are working. 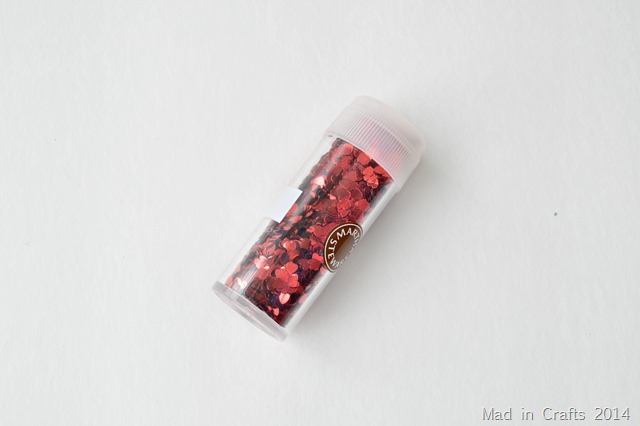 The next supply you need is heart-shaped glitter. 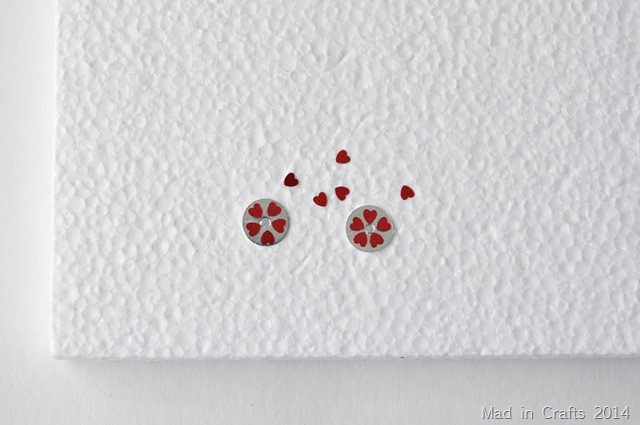 Martha Stewart Crafts makes a multi-pack of heart glitters in a variety of metallic reds and pinks. You might also be able to find small heart confetti at a party supply store. Use a paintbrush to brush a teeny amount of Mod Podge on to the flat pads of the earrings and place five glitter hearts on each earring. Use a toothpick, needle, or tweezers to position the hearts into a flower shape around the center of the earring pad. 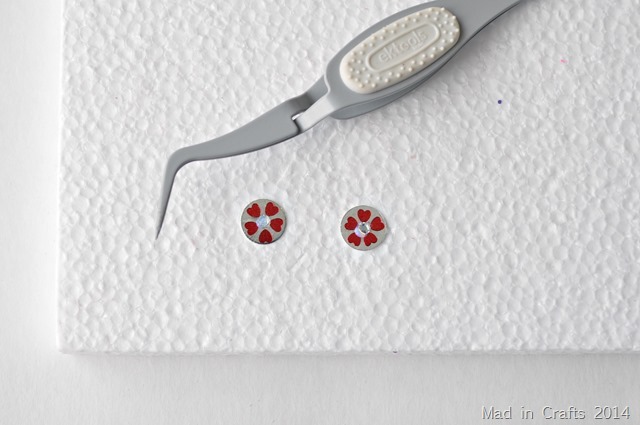 Using a bit more Mod Podge or craft glue, add small rhinestones to the center of each earring. Allow all the adhesives to thoroughly dry before moving onto the next step. 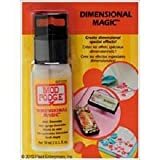 If you have never tried Mod Podge Dimensional Magic, this is the perfect project to start with. It is such a fun product, and you will be amazed at how easy it is to use. Squeeze a small amount of Dimensional Magic onto each earring so that it fully covers the surface of the earring pad. The Dimensional Magic will encase all the glitter and the rhinestones, but its surface tension is great enough that it will dry in a rounded shape without spilling over the sides of the earrings. Although it looks cloudy in this picture, the Dimensional Magic will dry crystal clear making it look like glass or resin. 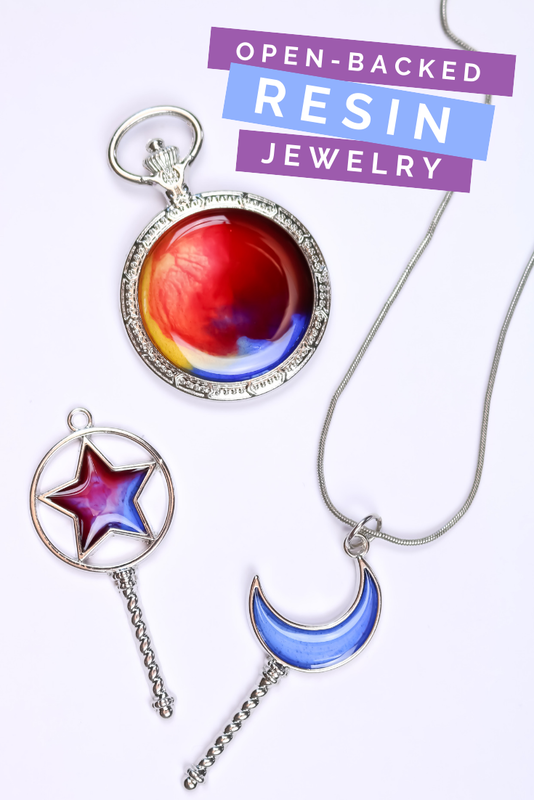 Just be sure to keep the earrings flat for several hours while the Dimensional Magic dries. 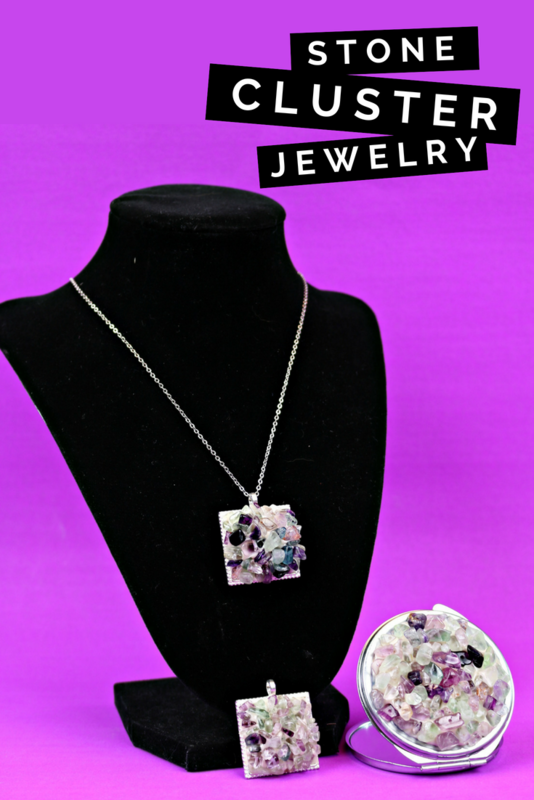 You can see from this profile shot that the earrings are in fact rounded. I had to futz a little bit with my Dimensional Magic (the hazards of crafting around kids) so there are some bubbles in my finished earrings. Yours will likely dry much better. 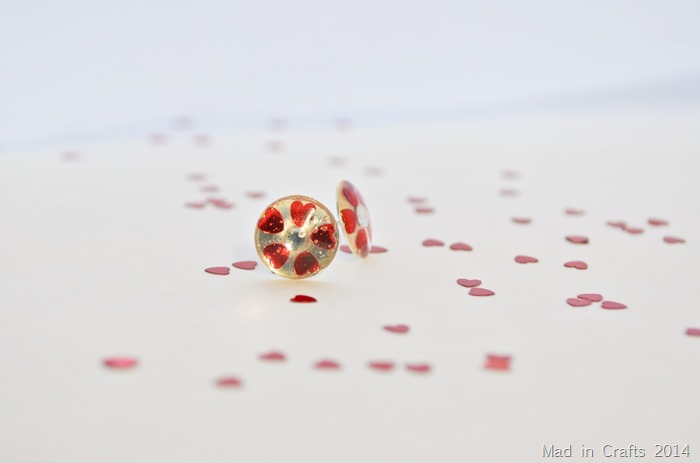 The earrings are sparkly and cute, and the fact that they are handmade makes them so special! I’ve gathered links to the materials I used in this tutorial. If you purchase after clicking one of these links, I will receive a small commission. Thanks! Thanks for the introducing Dimensional Magic to me.